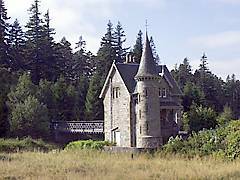 The Gatehouse to Ardverikie House appears many times in Monarch of the Glen. 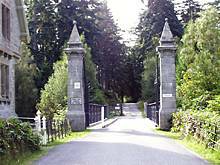 It is next to the A86 road and, if you are travelling from Laggan, it can be seen on the left of the road a mile or so before you reach Loch Laggan. If you want a really close look at the gatehouse it is available for self catering holiday rental.